I have to tell you, what makes a world of a difference when cooking in the kitchen? the knife. I am not even exaggerating. Adopting the vegan diet has encouraged creativity in the kitchen - which means more time in the kitchen. An awesome knife makes cooking so much more .. effortless. Kyle treated me to my first real knife, and I have to say, I love it so much. It's made my food prepping a whole lot more enjoyable. It's worth the investment! 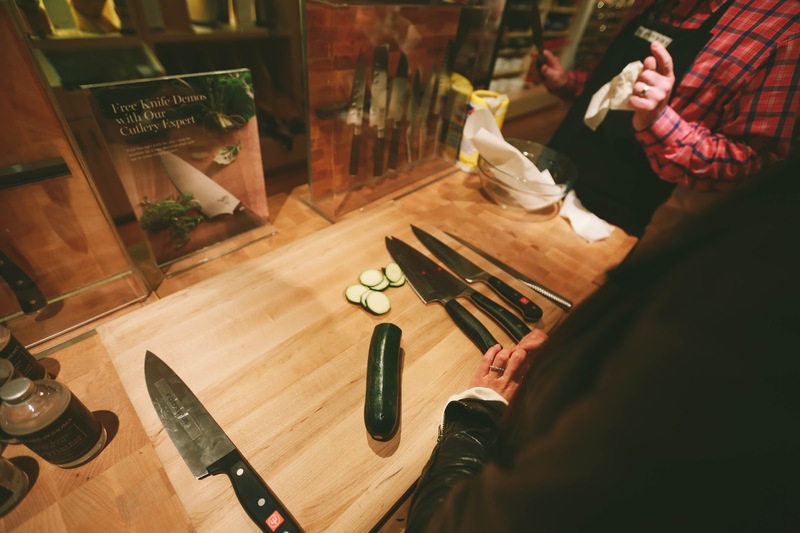 Here in the photographs is when we went knife shopping. The staff was great and kindly helped me pick out the perfect knife suited to my needs.